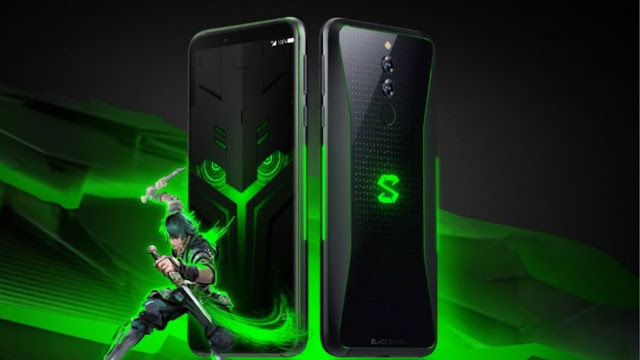 Xiaomi Black Shark Helo is also a gaming smartphone with dual pipe for cooling, 10GB of RAM and Qualcomm’s top-end Snapdragon 845 processor. Xiaomi just unveiled the world’s first smartphone to feature 10GB of RAM. Called Black Shark Helo, Xiaomi’s latest phone is aimed at gaming professionals. The new smartphone is also the successor to Black Shark which launched in April this year. Xiaomi Black Shark brings a range of optimisations under-the-hood to handle graphic intensive games and other resource draining applications. For instance, it comes with dual heat pipe for heat dissipation. Also, the combination of 10GB RAM and Snapdragon 845 processor propels the performance to a new level. In the camera department, Black Shark Helo has a dual-rear camera setup featuring 20-megapixel and 12-megapixel sensors. It also has a 20-megapixel front-facing selfie camera.